Technology has become a necessary and everyday part of studying. This book starts with effective practice in learning, and shows how technology can support that good practice. 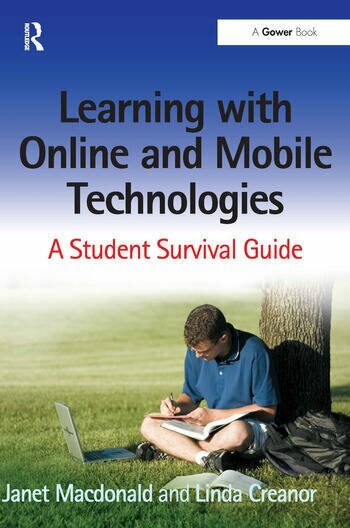 The authors show you the many ways in which online and mobile technologies can be used for study and give you guidance on how best to use them for learning in higher education, whether that is at college or university, or within your workplace. This wide-ranging survival guide combines advice on effective learning, with practical tips on using technology successfully to give you a smart approach to accessing, recording, sharing and revising information and knowledge. An efficient learning strategy with technologies will help you develop independence and self direction, so that when faced with a bewildering choice of web-based resources you are confident about how much to read, and when to stop. The approaches, skills and techniques discussed in this book will be of value to you not only in your formal course of study, but also in any other learning you might wish to undertake in future. In an increasingly competitive job market this will also be attractive to prospective employers. Contents: Introduction; Student voices; Practicalities; Listening, reading and sense-making; Listening, reading and sense-making: a survival guide; Communicating and community; Communicating and community: a survival guide; Searching and researching; Searching and researching: a survival guide; Writing and presenting; Writing and presenting: a survival guide; Appendices; Index. Janet Macdonald was Learning and Teaching Coordinator (elearning) for the Open University in Scotland. She has a doctorate in online course design and assessment and has published extensively on online course design, online tutoring and the use of online communities for professional development, including the popular textbook Blended Learning and Online Tutoring which has recently been published in a Second Edition. She has first hand experience of being both a distance student and tutor, and now provides staff development for others. Linda Creanor is Development Director for Professional Practice in the Caledonian Academy, a centre for educational development, research and scholarship at Glasgow Caledonian University. She has been involved in a range of national and European e-learning projects as a researcher, designer, evaluator and consultant, and has presented and published widely. She recently led a study on the learner experience of e-learning in which learners from across the UK described their approaches and attitudes towards using technology effectively for learning. Linda is a trustee and past president of the UK's Association for Learning Technology (ALT) and is a Fellow of the Higher Education Academy.